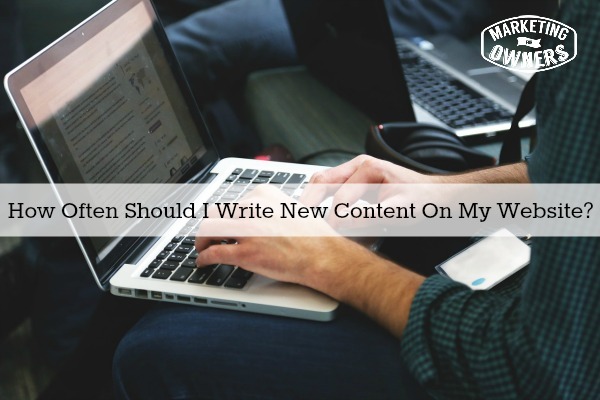 How often should I write content on my website? This is the question I hear a lot. It’s posted around the internet, and people ask me all the time. It’s a very valid question that we are going to tackle today. By the way, if you’re wondering, I’m in the “I don’t like to write, I want to find excuse for not doing it,” camp. I’m with you on that one, what I find is the people who like to write, wow you can’t stop them. They just churn it out. That is not necessarily a good thing. It depends on what you’re doing. If you are a website like the BBC or CNN or Mashable or Huffington Post or Epoch Times you need to churn out content. You need not worry about good quality content, but lots of it. You will have lots of content, lots of pages to use, lots of subjects to chat about and definitely lots of appetizing revenue. What If I Am Just a Small Company? What people are mistaking is thinking that content marketing means churning out content, and that this has replaced SEO in the wonderful list of ways to get to the top of Google. It’s just not so, things have changed. Content marketing is for sure the way you should go. I would like you to not think of how often you should post. I’d like you to think about what you should post. If you haven’t got anything to say, here’s a secret — don’t say it. Don’t make stuff up and don’t just invent stuff. If you haven’t got something of quality worth that is worth telling, that might make people interested, then don’t say anything. If you got too much to say you can put people off. You might be super interested in your engineering product but you might have limited audience and they may have limited time. If you do have a lot to say, then post the rest of it somewhere else. Guest post on articles, start another website from another angle within your niche to bring them in, but do not overdo it. Take this website for instance — we post twice a week. Now, we could probably increase that to three times but personally I prefer to go for quality. When I first started online we used to churn out articles because that was the thing. It’s a “more content the better and it didn’t matter about the quality” kind of thing. Now, the internet is full of stuff like that and honestly, sometimes I think it is just too much. Everything has being said, and it’s going to be said again and again and again. If you are going to create content, it needs to be done well. Make your articles longer. Make them more informative. Write them of a quality that people would be prepare to paid for. If you can help your customer and give the utmost quality, then do it. Use lots of images, examples, and lots of proof that you know what you are talking about. That is the way to go, it will work. Don’t try to post everyday. I want you to pick your pattern. It doesn’t matter if you write once a week as long as its top quality and people will want them. Be consistent, write and publish on the same days at the same time. People expect consistency. Look at how they put content on the TV and radio stations. Those shows are at the same time every day and every week . Write like that. Today we are going to talk about Jamie Turner. Now, he is a great guy. 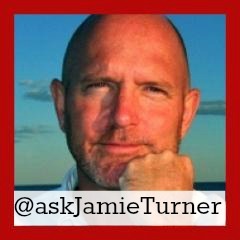 You can follow him on Twitter at @AskJamieTurner and his website is 60 Seconds Marketer. Jamie specializes in mobile, and he actually covers social media and all the normal things. In fact, he’s also just launched a Podcast, he speaks on stage, and he’s written some books. He wrote a good one on Go Mobile. He knows great people and that’s the way it’s going to be. You only get to know and get recommended by great people if you are good. So go and follow Jamie and see what he’s got to say. He’s a good guy, that’s it for now, remember get writing and write something good, I’ll see you tomorrow. Are you writing just to write or are you writing good quality content?